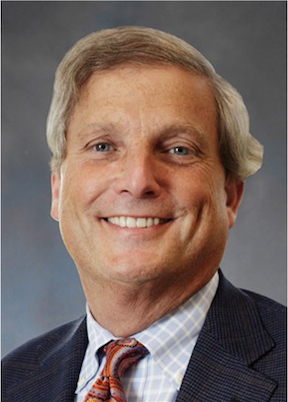 DEERFIELD, Ill. — Former Duane Reade chief executive officer John Lederer has been named to the board of Walgreens Boots Alliance Inc. (WBA). Lederer has been president and CEO of US Foods since September 2010, leading a comprehensive brand transformation. He also led a major transformation at Duane Reade, overseeing the creation of a new urban drug store format that culminated in the chain’s sale to Walgreens in 2010. “John’s successful record of leading and transforming major retail and wholesale companies, including Duane Reade and US Foods, will help Walgreens Boots Alliance realize its vision to be the first choice for pharmacy, well-being and beauty — caring for people and communities around the world,” said WBA executive chairman Jim Skinner. “We are fortunate to have John and his exceptional leadership experience in U.S. retail pharmacy and consumer and wholesale business on our board as Walgreens Boots Alliance pursues our ambition to build a global health care champion that is always close to our customers’ hearts and minds,” said executive vice chairman and acting chief executive officer Stefano ­Pessina. Before he joined Duane Reade in 2008, Lederer had a successful 30-year career at Loblaw Cos., where he served in a variety of senior leadership positions, including president of the company from 2000 to 2006. Lederer’s appointment fulfills a provision of a September agreement between WBA and JANA Partners LLC allowing JANA to recommend an additional independent director. “It is a tremendous privilege to join the Walgreens Boots Alliance board as this new global enterprise for health and well-being moves forward with a very bright future,” Lederer commented.